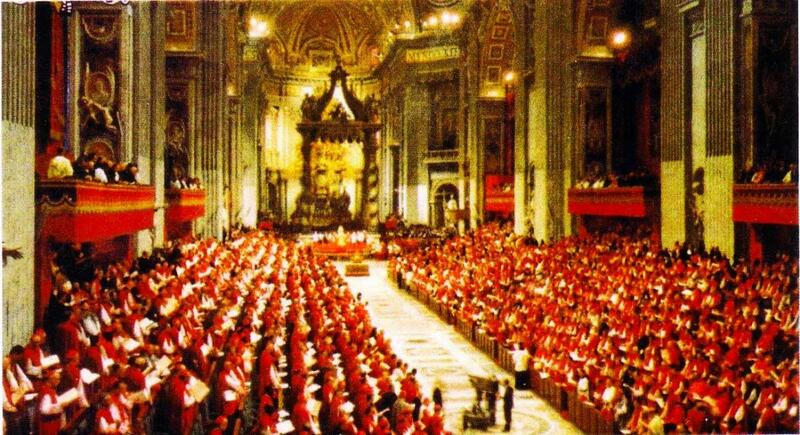 In celebration of the 50th anniversary of the start of the Second Vatican Council, we are offering an eight-week lecture series revisiting some of the central insights of The Second Vatican Council that still drive theology today. This lecture series is for anyone who is interested in theology, the role of the laity in the Church, and the intellectual life of the Roman Catholic Church. The first lecture in The Big Ideas of the Second Vatican Council lecture series sponsored by the Center for Dominican Studies and the Martin de Porres Center. Dr. Riley is Professor of History at Ohio Dominican University, having joined the faculty in 1995 after serving as an Adjunct Professor of History at Canisius College in Buffalo for many years. She also serves as a member of the Canonization Cause for Servant of God/Venerable Fulton J, Sheen, Diocese of Peoria, IL. The second lecture in The Big Ideas of the Second Vatican Council lecture series sponsored by the Center for Dominican Studies and the Martin de Porres Center. Fr. Steinkerchner is the associate director of the Center for Dominican Studies at Ohio Dominican University and is Promoter General of the Internet for the worldwide Dominican order. The fifth lecture in a series on The Big Ideas of the Second Vatican Council. Dr. Leo Madden is the Chair of the Theology Department and the Director of the MA in Theology program at Ohio Dominican University. He received his graduate training in Catholic Theology and Sacred Scripture at the Gregorian University and Biblical Institute in Rome, Italy. The sixth lecture in The Big Ideas of the Second Vatican Council lecture series sponsored by the Center for Dominican Studies and the Martin de Porres Center. Fr. Wicks served on the world-level Catholic–Lutheran dialogues on church and justification and on the church’s apostolicity. Upon moving back to the USA he joined the US Catholic–Lutheran dialogue that produced the consensus document, The Hope of Eternal Life, completed in 2011. We have free parking for those attending the lectures in the Gold Lot behind the Griffin Student Center, but you need to be displaying our parking permit. You can download the Parking Permit for and a Map of the Campus below, showing you the lot and the Sansbury Hall, where the lecture will be.